Income trusts provide a way for individuals whose income exceeds the Medicaid monthly limit to still qualify for Medicaid services. To be eligible for Medicaid's long term care benefits, an applicant's income and assets must not exceed the allowable limits. Qualified Income Trusts (QIT), also referred to as Miller Trusts, are intended for those who have an income greater than qualifications for Medicaid allow, yet don’t have enough income to pay for long term care. With QIT’s, an individual’s excess income is directly deposited each month into a restricted funds account, meaning the money in the account can only be used for a specified reason. In the case of QIT’s, these funds can be used strictly to pay one’s accrued medical bills and care costs, such as nursing home bills and Medicare premiums. By utilizing a QIT, a senior’s excess income is not counted towards Medicaid’s income limit. Therefore, the individual becomes eligible for benefits. Qualifying Income Trusts, as mentioned above, are commonly called Miller Trusts. However, in some states, QIT’s are referred to by slightly different names. For example, in Arizona, they are called “Income Only Trusts”, and in New Mexico, they are called “Income Diversion Trusts”. Other names they might be referred to include the following: Medicaid Income-Only Trusts, Income Assignment Trusts, Income Cap Trusts, and sometimes simply (d)(4)(B). QIT’s are irrevocable. This means that once the trust has been established, it cannot be undone, except perhaps in some extraordinary situations. There are also methods for converting assets (as opposed to income) that are in excess of Medicaid's limit. These are discussed in greater detail here. With a qualifying income trust, the individual hoping to gain Medicaid eligibility will contribute their income that is over the Medicaid allowable limit each month to the trust. For example, as of 2017, in most states, the Medicaid monthly income limit for a single individual is 300% of the Federal Benefit Rate, which is currently $2,205. If an individual's monthly income is $2,500, then each month they will allocate $295 into the trust, thereby lowering their countable monthly income to the allowable limit. The individual cannot simply give away the extra income, as that would violate Medicaid's rules. (This violation is referred to as the Medicaid Look Back Period. Learn more here.) In some states, Medicaid must be the beneficiary of the trust. The money in the trust can be used for purposes established at the time of the trust’s creation. Each state has different laws with regards to a qualifying income trust's purposes and beneficiaries. Most states require that the excess income be directly deposited into the trust. In all cases, a QIT trustee must be appointed, which is normally a relative or close friend. The trustee is the one who writes the checks from the trust for the senior’s care and medical expenses. It’s important to note that not all states allow the use of QIT’s to qualify for Medicaid. Some states allow what is called a Medicaid “Income Spend-Down,” which allows a senior to qualify for Medicaid by “spending down” excess monthly income on medical care. Once a senior has “spent down” their income to the qualifying limit, one is eligible for Medicaid. However, other states are known as “income cap” states. These states have a hard limit on the amount of income that is allowed for Medicaid eligibility, and in these states, Medicaid Income Spend-Down is not an option. Therefore, this is where QIT’s come into play. As of 2017, the following states are income cap states and Miller Trusts are an option to gain Medicaid eligibility: Alabama, Alaska, Arizona, Arkansas, Colorado, Delaware, Florida, Georgia, Idaho, Iowa, Kentucky, Louisiana, Mississippi, Nevada, New Mexico, New Jersey, Oklahoma, Oregon, South Carolina, South Dakota, Tennessee, Texas, and Wyoming. It is not necessary to use an attorney when creating a qualified income trust. However, for many families it might make sense to do so. There are inexpensive guides and documentation available online to help those wishing to undertake the process themselves. 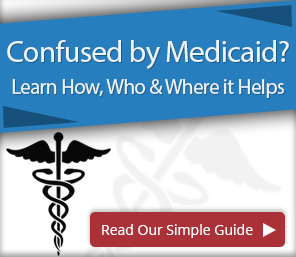 However, because Medicaid eligibility laws are very complicated and specific to each state, one may find these guides do not provide adequate detail for their situation or their geographic area. Since the consequence of an improperly established trust means a denial of Medicaid benefits, for most persons it is advisable to find a Medicaid planning professional to assist in the process. Should an individual use a professional service to establish a trust, they will likely experience a fee. An attorney or other professional will bill the individual on an hourly basis or a flat rate to set up the trust. Typically, the cost is between $1,000 and $2,000, though it could be higher or lower depending on the attorney and state in which the individual resides. However, these fees are not significant, and since the primary objective is to lower one's income to a Medicaid-eligible level, these fees should not impact the individual. For more information on using qualifying income trusts to gain Medicaid eligibility and to find assistance, please visit our webpage regarding Medicaid Planning. Pooled Income Trusts - also known as a (d)(4)(C), are another type of irrevocable trust, and are managed by non-profit associations. This type of trust was established for disabled individuals, mainly disabled minors. Allocations are combined with other contributors’ resources and are invested and managed as a pool. When the individual in need of care passes away, the remaining resources stay in the pooled trust to help other beneficiaries or are paid to Medicaid. Some states do allow Medicaid applicants over the age of 65 to contribute to a pooled income trust without it being in violation of the Medicaid Look Back Period, but not all do. 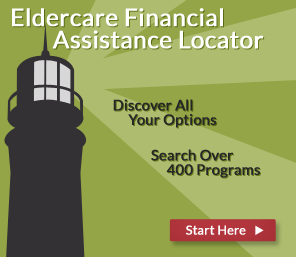 Therefore, it is strongly advised to discuss this option with a Medicaid planner. Special Needs Trusts - also called Supplemental Needs Trusts, is another type of irrevocable trust, which might be established to help another family member or individual who is mentally or physically disabled. These type of trusts are frequently used for disabled children, but may also be used for persons over age 65. In these cases, the trustee is only able to pay for the child or senior in a way that the trust property can only be used to supplement public benefits, not supersede benefits. In most cases, it will not be counted as a countable asset for Medicaid eligibility purposes. However, as with Pooled Income Trusts, it is strongly advised one contact a Medicaid planner prior to attempting this strategy to become eligible for Medicaid.